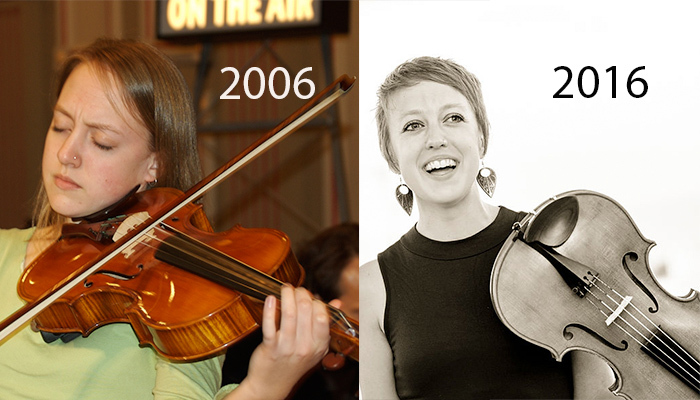 Violist Kallie Ciechomski first appeared on From the Top with Host Christopher O’Riley in 2006. She sent us this update: enjoy! My first appearance on NPR’s From the Top with Host Christopher O’Riley was on Show 136 in 2006, as a recipient of the Jack Kent Cooke Young Artist Award. The $10,000 scholarship and the opportunity to perform on NPR have greatly influenced my career, and helped me to become the musician I am today. Now, as a New York City freelancer, I am dedicated to expanding the classical audience and helping young people get excited about classical music. In today’s fast-paced world of smartphones and constant stimulation, there can be a disconnect between the traditional concert experience and other entertainment forms. This month, I am thrilled to work with the Philharmonia Orchestra of New York (PONY), a new ensemble that uses technology to intensify and revitalize classical music. 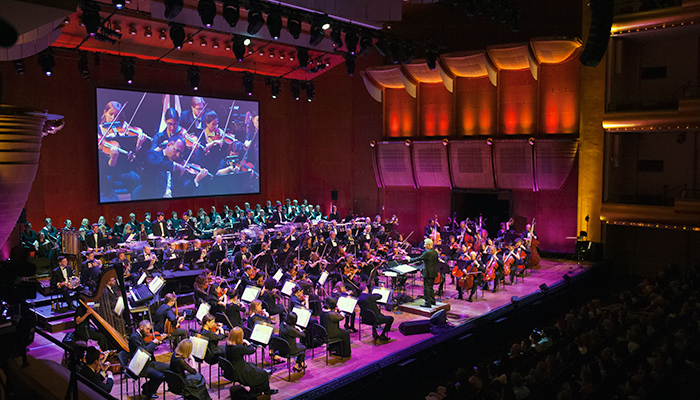 At the PONY season premiere (March 29 & 30, 2016 in New York City), we will be performing Mahler’s Second Symphony and Berlioz’s Symphonie Fantastique. Unlike a typical orchestral concert, the music will be accompanied by a 4K film that helps tell the story of the work and the composer. As a member of New World Symphony in Miami, I was involved with similar multi-media collaborations involving film, lighting and mixed media; so I have seen the way that adding a visual aspect makes the performance more accessible. Classical music can feel too abstract to some listeners, and an added visual element can deeply enhance the symphonic experience. Since From the Top, I’ve had countless opportunities to work with young musicians. I coach violists at a performing arts high school, explore new methods with my private students, and teach improv and extended technique in education concerts all over the city. Last year, I traveled to Japan with the Philharmonia Orchestra of New York to perform with Japanese students who survived the Tōhoku Disaster: the sequential earthquake, tsunami, and nuclear meltdown that devastated Japan in 2011. For me, the most powerful moment of the trip was when we came together for the first performance. Hearing the students singing in harmony was an incredibly moving experience, especially in the context of their struggle and everything they had overcome to be there on that stage with us. 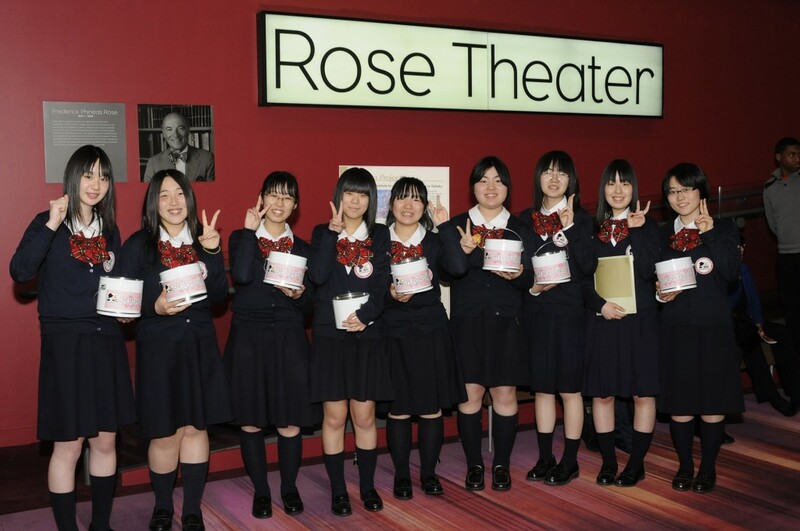 A chorus of Japanese students and students from The College of New Jersey will be joining us at our season premiere. This epic concert will feature the most musicians ever assembled on Rose Theater’s stage at Jazz at Lincoln Center. I am thrilled to be a part of this exciting concert that embodies the strength of classical music and cultural connection. For more information about this concert and PONY, click here. To learn more about Kallie and listen to her on From the Top, click here.